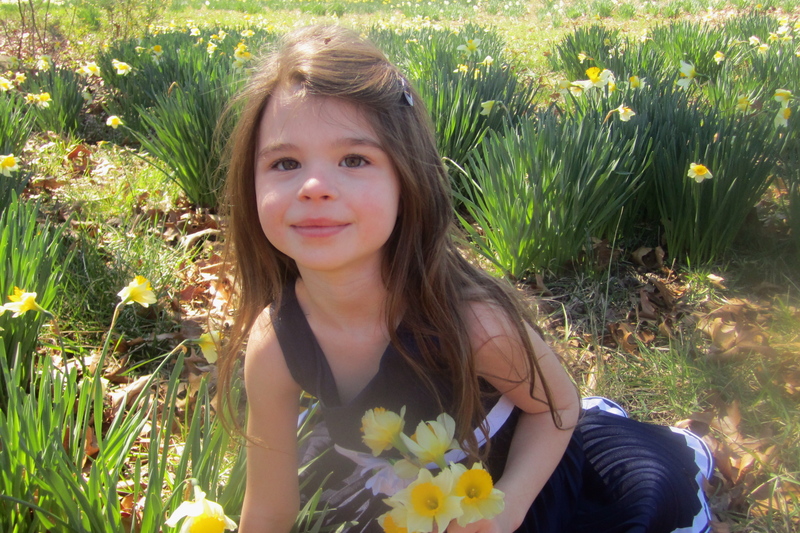 Most of you know Little Miss Allison Rose aka “Teelte Bob” was diagnosed with T1 Diabetes on March 12, 2012. It’s hard for me to believe that this picture of her was just took 2 days before the diagnoses. While in the hospital with our lives turned upside down, they had a test done that monitors the average blood sugar levels over a period of two to three months “A1C Test”. Hers was around 11.5%. A normal range for people without diabetes is anywhere from 4 to 6%. Someone like Allison who has diabetes should aim for about 7% . If you get that, then you’re Golden. You have to understand this diagnosis has been a major lifestyle change and is certainly a daily battle for our family. She gets a shot of insulin 4 times a day and she averages about 10-15 pricks on her fingers everyday for blood sugar monitoring. Lately we have been struggling with highs. When you see a normal range reading it is like Jubilee and dancing all over the place!!! So yesterday afternoon, Mike & I met at the Endocrinologist for her routine check up to see how her treatment is going overall. To my surprise the nurses were in awe of how awesome she is doing. Oh my goodness, this is how God works…… He gets all the glory!!!!! Her A1C test showed that she was at 7%!!!! Can I put that in bold and scream it? 7% BABY!!!! They were thrilled to see one of their patient so well taken care of. Now I promise you that is not just a compliment of Mike and I and our efforts but a huge one and thank you for what the Lord has done through all of this. That’s him at work in our lives my dear friend. I told the Lord when she was diagnosed that this trial was to unbearable for a mother to have to see her child go through. I can’t do it on my own. And there is nothing in me that could. So I asked God to carry me. Do you remember the story “Footprints in the Sand”? He has been there all along through this raging storm and his beauty can be seen. Oh my… how he was so faithful. The nurse started telling us horror stories about children they see come through their office. Many of them are taken right to the hospital from complications that their parents could have controlled but did not care to nor would not make any effort at. Some are walking around with high blood sugars constantly and have complications because of the lack of care from their caregivers. It just heart breaking to hear. Dad would say “there is just people out there that would not hit a lick at a snake”. IT’S YOUR CHILD for crying out loud!!!! I told Allison as we were leaving “Dear Girl, God countenance has shined upon you and you my love are truly blessed by the Lord”. It is not all puppies and rainbows but the Lord know just the right time when we all need a little encouragement. Perhaps you have a health issue that you are battling. Trust in Him… He is your friend and will carry you. Thank you Sister. Lord Bless You. Missy, so precious!! So glad you are getting good news!! Praise God! Thanks Ellen. We were so proud of what the Lord has done.